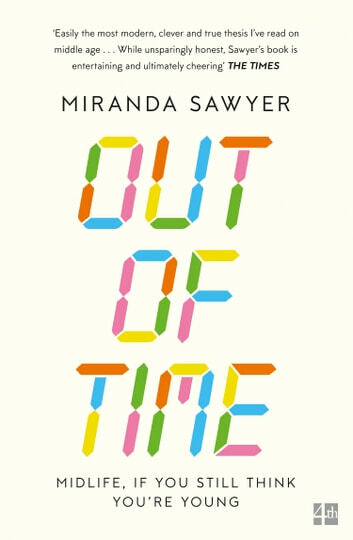 From the hugely respected journalist Miranda Sawyer, a very modern look at the midlife crisis – delving into the truth, and lies, of the experience and how to survive it, with thoughtfulness, insight and humour. ‘You wake one day and everything is wrong. It's as though you went out one warm evening – an evening fizzing with delicious potential, so ripe and sticky-sweet you can taste it on the air – for just one drink … and woke up two days later in a skip. Except you're not in a skip, you're in an estate car, on the way to an out-of-town shopping mall to buy a balance bike, a roof rack and some stackable storage boxes.’ Miranda Sawyer’s midlife crisis began when she was 44. It wasn’t a traditional one. She didn’t run off with a Pilates teacher, or blow thousands on a trip to find herself. From the outside, all remained the same. Work, kids, marriage, mortgage, blah. Days, weeks and months whizzed past as she struggled with feeling – knowing – that she was over halfway through her life. It seemed only yesterday that she was 29, out and about. 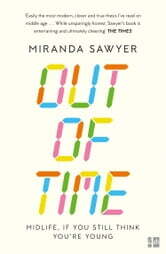 Out of Time is not a self-help book. It’s an exploration of this sudden crisis, this jolt. It looks at how our tastes, and our bodies, change as we get older. It considers the unexpected new pleasures that the second half of life can offer, from learning to code to taking up running (slowly). Speaking to musicians and artists, friends and colleagues, Miranda asks how they too have confronted midlife, and the lessons, if any, that they’ve learned along the way.